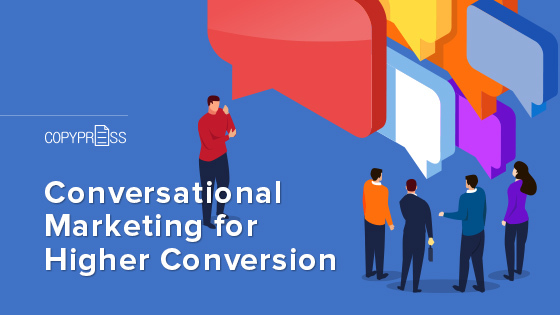 Conversational marketing is a type of relationship marketing that builds a sense of community between a company and its customers, and it’s big right now. It’s a lot more than just the next big thing in marketing, though — it’s what customers want and expect. A business can use conversational marketing to map out a content marketing strategy that puts fresh information on the company’s website about hot topics clients are seeking help with. Imagine the opportunity your company would have if you could read your customer’s minds. You could map out the content to put on your website or blog knowing ahead of time what information your customers are trying to find. Conversational marketing provides that advantage because you get to use questions directly from your customers for content creation topics. It shouldn’t be your only source of inspiration for website content, of course, but it would enhance the customer experience. An intuitive web content strategy isn’t the only advantage of this, either. Conversation-based marketing is popular with both customers and businesses because it’s based on respect and it builds relationships. This becomes even more important when acknowledging that technology has created a sense of isolation for many people, with some experts at the University of California, Santa Barbara even suggesting that tech is damaging the human experience. Sometimes it seems like marketing is about writing ad copy, staying on top of trends and keeping up with the latest buzzwords. At a glance, it may seem like conversational marketing is just the latest new thing. It isn’t, though, and here’s why. The core concept of this approach is getting to know your customers, and it goes back to the early shopping transactions where store owners simply talked to customers over a counter. For an example from back in the day, if Mrs. Smith entered a store to buy some fabric and told Mr. Jones, the shopkeeper, she needed a different type of fabric to make an apron, Mr. Jones would then order that type of fabric and have it brought in on a stagecoach. Mr. Jones got cues about what his customers wanted from a friendly chat and responded to customer demand by providing things customers mentioned wanting. Today’s version of this uses technology like social media messaging and email to get information on what customers want. In a 2017 report, Big Commerce noted that 96 percent of Americans shop online for at least some products. What that means for you as a business owner is there’s huge potential to increase profits by selling online. It also means your chance for over-the-counter personal exchanges where your clients tell you what they want is changing. Digital surveys that customers can fill out at their convenience. Social media like Twitter, Facebook, and Instagram, just to list a few. 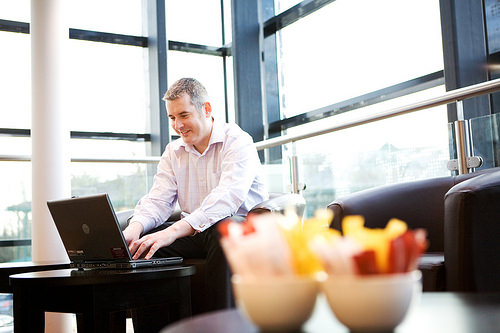 Opt-in email marketing programs that provide extra ways for customers to communicate with you. Loyalty and rewards programs that let you track return customers and their purchases while giving customers bonus features like digital coupons and an in-app way to build online shopping lists. Customer support in the form of online chats and chatbots, email support, and publishing website content that answers questions without the need for a customer to call the company. Artificial intelligence, or AI, is the driving force between the rapid rise of this trend, according to Forbes. AI chatbots are expected to become so widely used that they facilitate the majority of business transactions by the year 2020. These bots deliver a personalized experience as well as a wide range of information about your customers. Plus, all the information gathered is delivered to your desk in a format that’s digital, so it’s easily searchable for any term you want to explore. Quick response: This can be done by having someone to staff social media accounts even during your company’s off-hours, setting up an auto-responder that lets customers know you have received their message and will be handling it promptly, and posting your company’s hours on social profiles to let people know when to expect a reply. Willingness to fix issues: Potential customers want to know that if there’s a problem with the product or service they receive, it will be addressed. So, your positive interactions with other customers can increase the chances of making future sales. Personalize replies: This can be done by tagging the person you’re replying to, or by simply keeping the details of a customer complaint straight and addressing the whole issue. There are different ways your business can approach conversational marketing. One way is to simply use it as a way to communicate effectively with customers both to thank them and to and make sure their needs are met. Another way is to gather valuable customer information. This type of tracking lets you stay on top of what your customers are saying. Keep the conversation going and respond to all forms of customer communication to create opportunities for your business to rise above the competition. Conversational marketing is one of today’s most popular and effective means of communicating with your customers. It’s built on a solid foundation of feedback and response, and actively using it in your business leads to a better customer experience. That better experience can lead to more repeat customers, positive word-of-mouth advertising, and more new customers for your business.